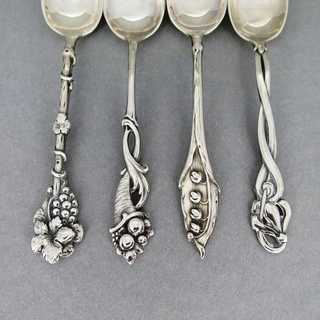 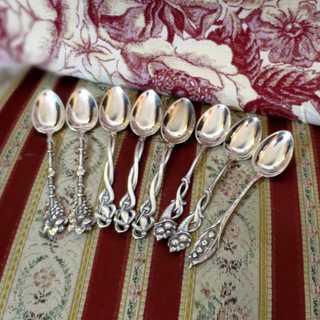 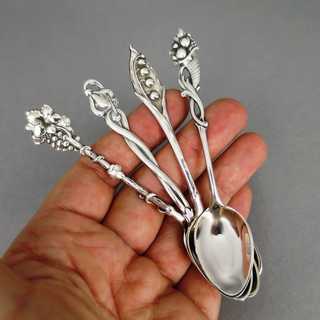 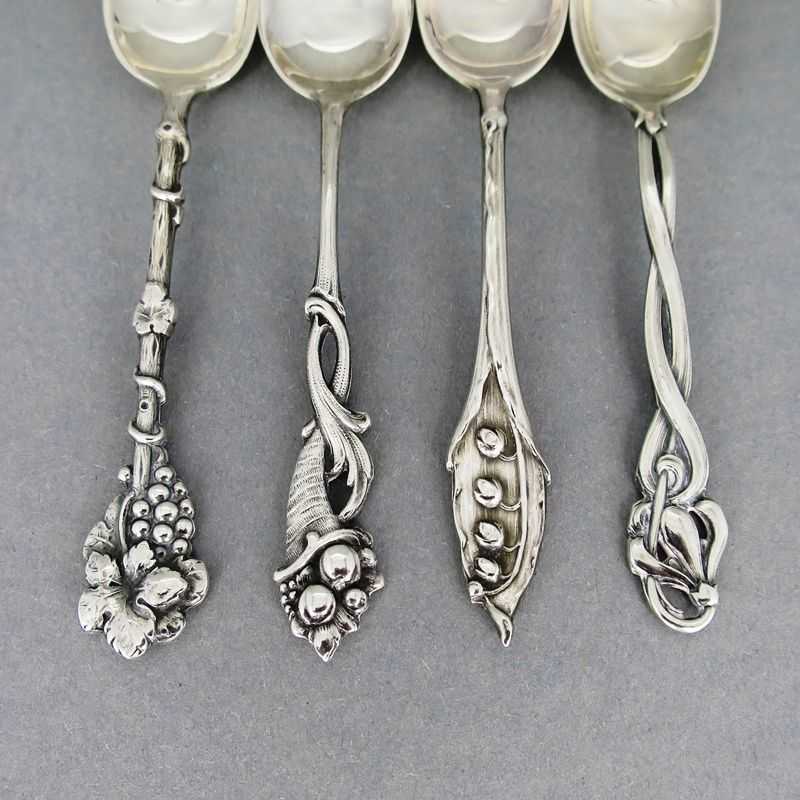 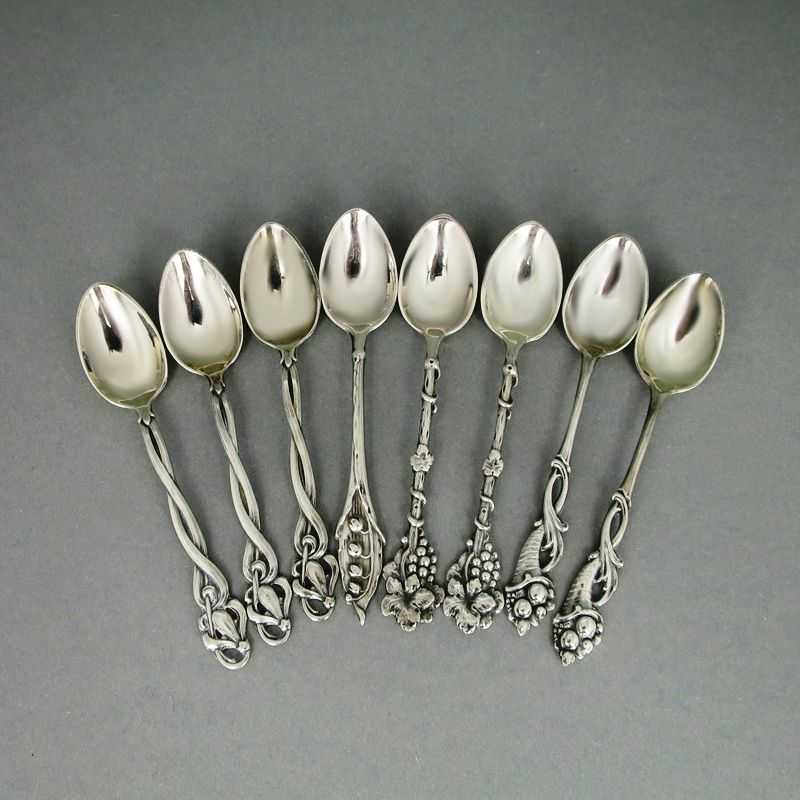 A set with 8 beautiful german Jugendstil mocha spoons. 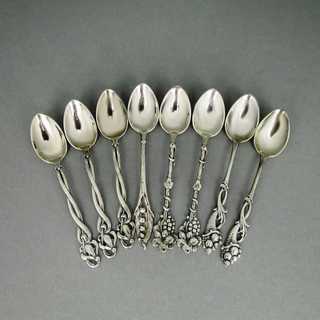 Slightly jagged bowl ends. 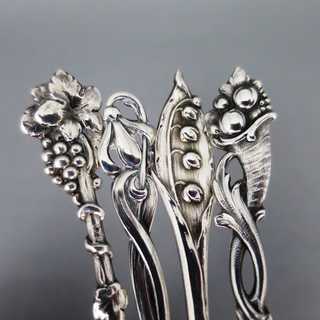 Handle finials rich decorated with different reliefs: lily of the valley (1 pc. 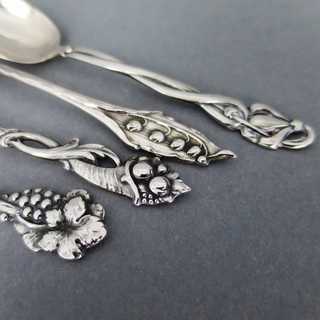 ), cyclamen (3 pcs. 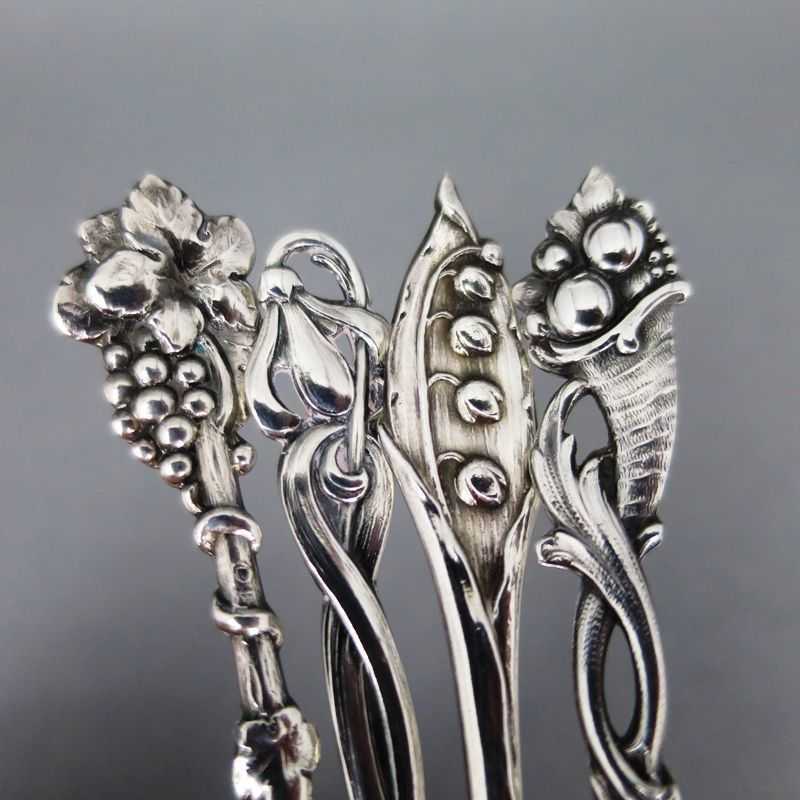 ), wine grape (2 pcs.) and fruit basket (2 pcs.). 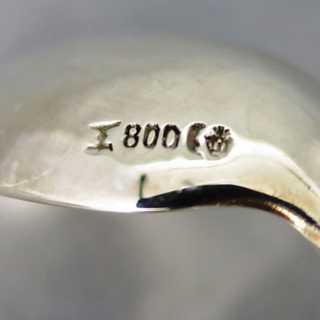 Marked, made by the famous german silver manufactory of Koch & Bergfeld in Bremen, about 1910.